My wife and I had tried to have children in the past, but the longest my wife was able to carry was close to 4 months, then she would spontaneously abort. After years of trying, we finally gave up and resolved to adopt. Three weeks later, lo and behold… Carmen presented herself as our soon-to-be daughter. I began my first career in the United States Army and ended in Federal Corrections. I have seen and experienced a lot in my life, but nothing prepared me for this. It is ironic that my second career led me into healthcare because I suddenly found myself in dire need of medical guidance and specialty services for my then unborn child. The outlook was bleak and the medical professionals in charge of my wife’s care gave us no hope. They urged my wife to terminate the pregnancy. It was determined that Carmen would likely not survive to birth. I reached out to a colleague who specializes in the cardiothoracic field and he suggested two hospitals that I should contact. After researching those hospitals, we chose to meet with the team at the Division of Maternal-Fetal Medicine at Children’s Hospital Los Angeles. Their Mission is to “create hope and build healthier futures” and they are certainly accomplishing that mission. It is a decision that I am glad we made. During a routine visit, it was determined that Carmen had not grown during the previous month and that she was suffering oxygen deprivation. Due to the Trisomy 18 finding, there was little that they could do for us – unless my wife agreed to Amniocentesis. My wife agreed and was subsequently admitted to the Hollywood Presbyterian Medical Center. From that point forward she was under the meticulously professional care of Sara Twogood, M.D. At 35 weeks gestation Carmen decided that she was ready to make her debut. Fortuitously, Dr. Twogood was the physician on call that evening. She closely monitored my wife and Carmen’s progress and determined that she would have to perform emergency cesarean surgery. Shortly after the delivery, Carmen was placed in an incubator and prepared for transport to the Newborn and Infant Critical Care Unit (NICCU) at Children’s Hospital Los Angeles. On my way to the transport, I saw Dr. Twogood in the hallway. She had her back to me and when I passed – I noticed that she was crying. I asked, “Why are you crying?” Dr. Twogood explained that she had expected the worse, but that Carmen looked really good. My response was, “It’s because Dr. Twogood, you are too damn good!” She smiled and my journey to the NICCU at CHLA began. On Carmen’s third day of life she crashed; her blood gases (ABG) were off, she was suffering edema, she required blood transfusions. We were losing her. My wife was released from the hospital and transported to the NICCU; it was heart wrenching. I felt lost and that the situation was hopeless. I took a break and went in search of solitude. I railed in conversation with God and pleaded for mercy. Call me crazy, but in my despair I heard a voice … “Are you done? Are you done? Now let me show you what I can do.” I returned to the NICCU and we began making calls and reaching out to everyone and anyone we knew that could pray for Carmen. She began to improve. 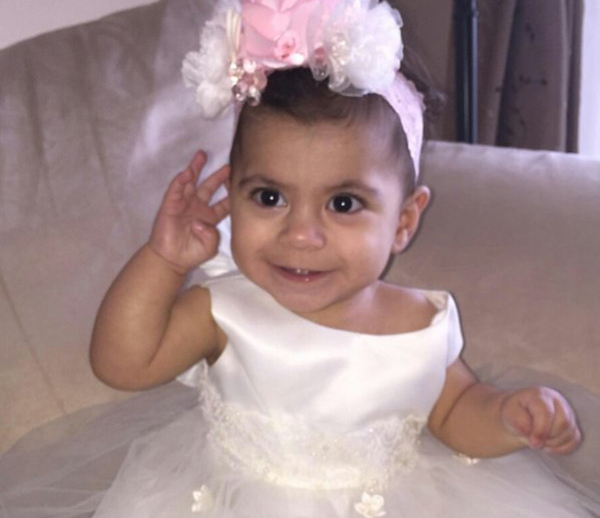 A few days later, Marissa Quezada of Maternal-Fetal Medicine appeared with a smile at the NICCU; she had Carmen’s umbilical cord test results… ALL NORMAL CHROMOSOMES. What did that mean? It meant that Carmen had just become a candidate for surgery. Our next major visit was from Roberta Williams, M.D. After a very thorough physical examination and evaluation, Dr. Williams recommended Carmen for her first of three heart surgeries – the Norwood Procedure. We worked to get her weight up and prepared Carmen for surgery. Carmen is a very loving child with a strong will to survive. Two weeks after Carmen’s life began; Vaughn A. Starnes, M.D. performed the Norwood procedure with a Sano shunt modification. The surgery was successful, but then began the journey to recovery. After a couple of scares–one that included Carmen extubating herself–we were able to take our daughter home; nearly three months after our journey began. Carmen was so small, her head fit into the palm of my hand, but she was ready to meet the world. In July of 2016, Dr. Starnes performed the Glenn Procedure on Carmen and removed the Sano shunt. She recovered in three days. Her next and hopefully final surgery comes when she is three to four years of age. the Fontan Procedure. I am honored to have stood in the presence of these doctors, nurses and even the cleaning staff–all who kept positive and always encouraged us. These people, especially Doctors Starnes and Williams, are giants in my book. When we are at our lowest, then we experience the miracles that life has to offer. Someone recently asked me, “do you believe in miracles?” I responded, “I have one at home.” I can, without a shadow of a doubt attest that miracles do in fact exist and I am very grateful for mine; her name is Carmen. Update: Carmen recently celebrated her third year of life. She has progressed to a point where her cardiac team has decided that the Fontan procedure can be postponed for a year or two. 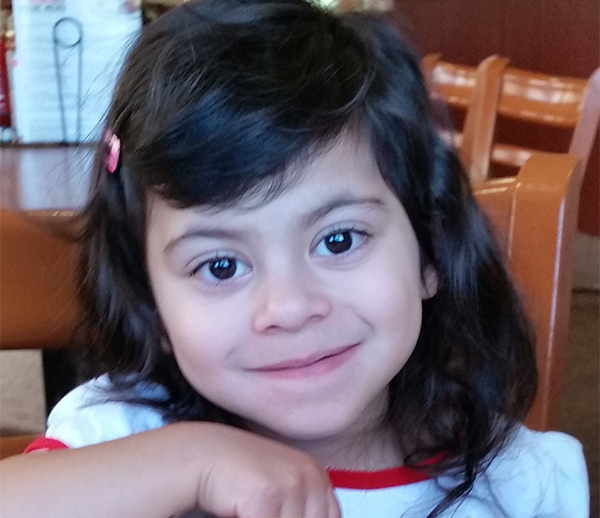 Her lead cardiologist calls Carmen’s case “extraordinary!” And that is exactly what she is.